I just love MAC Paint Pots with shimmer, like MAC Genuine Treasure, which is still a favorite till today. Frozen Violet is described as a frosted purple silver, and it is gorgeous. I love that it looks almost taupe, and not as purple. MAC Frozen Violet Pro Longwear Paint Pot on lid, bottom lash line & inner corners. I applied it with my ring finger up to the crease, then using my eyelash curler I defined the outer edge by filling in the paint pot with a fluffy blending brush. Eyelash Curler Technique shown here. 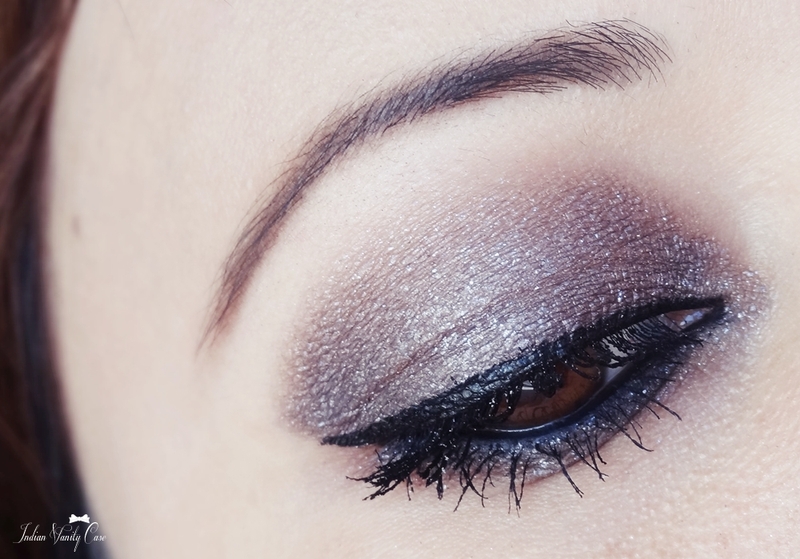 Princess Black Liquid Eyeliner slightly winged out. 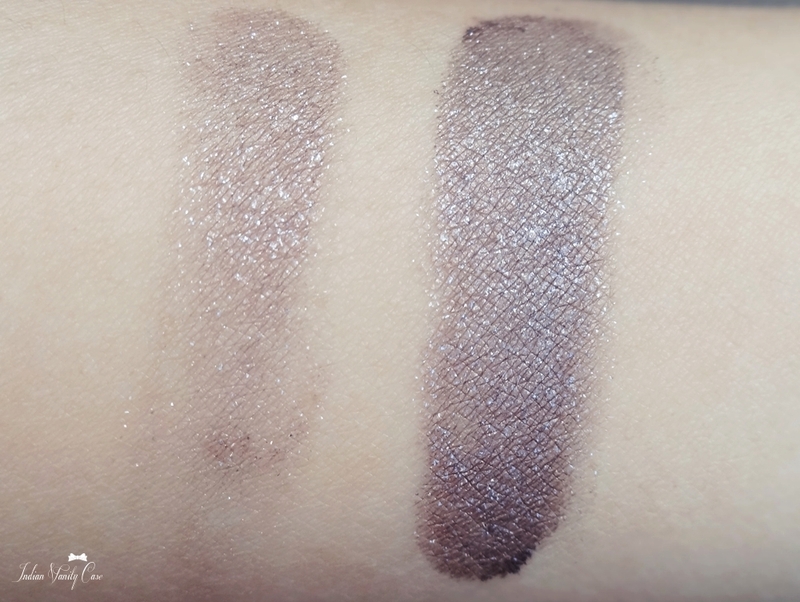 Lakmé Kohl Ultimate to tightline & on waterline. Maybelline The Falsies Black Drama Mascara on top & bottom lashes. 3 Coats. Price of Frozen Violet ~ £14.50 | Rs.1253. I think it's part of the permanent collection, but I'm not sure. What do you think? Your kind of eye shadow? Looks so pretty ;_; I like a lot! Is it just me or this looks like a darker version of bad to the bronze?